How is your summer so far? Mine has been a mixture of good and bad. Having 2 family members pass away in less than 2 weeks is bad. Have my youngest son get married and graduated from tech school AND come home all in less than 2 weeks was VERY good. He is home now but only for a week and then he and his bride will be off for 2 years. I am blessed to be part of a huge community of bloggers and foodies. So many great supporters and party links. As you have seen from last week. Wow what a collection. If you missed any of them, I pin all recipes on my Swap N Share Sunday Pinterest board. To those of you featured, be sure to proudly display the button. 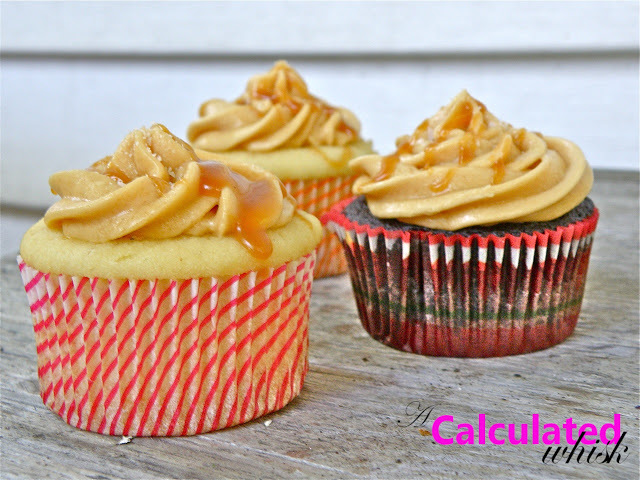 A Calculated Whisk (don't ya love that name) for sharing these Salted Caramel Cupcakes. Now it's time to start this weeks party. Few rules...and lots of fun. A little early but HAPPY 4th of July or Independence Day. How about let's just celebrate with some great foods that are Red, White and Blue! I had a red, white and blue of my own last week. You can see it HERE. I know I've said it before but I'll say it again. I love the Foodie Pen Pals program that Lindsay at The Lean Green Bean works so hard to set up for us each month. THANK YOU Lindsay! Each month you sign up, are assigned another blogger or reader, you exchange information about your likes, dislikes, allergies, etc... and mail that person a box of goodies. I mean, come on, who does like to get mail that isn't a bill and to make it a box full of food. Oh yeah, Christmas every month for me. Being a food blogger I especially love it. I get to try food from all over the country and make new friends. This month I received a box from Andrea. I sent a box to Wangeci who left for Kenya just a few days after receiving the box I sent. I knew this in advance so I made sure to send things that would comply with the FAA flying regulations, were light and easy to pack. You can see what I sent her over at: Foodie in the desert . Here is what I received. A great bunch of goodies that I have yet to get through. The cookies were the first causality, a favorite of mine. If you are interested in signing up, go to The Lean Green Bean and click the link for Foodie Pen Pals. Sign up is on the 26th of each month. Details are found HERE. WOOT YIPPEE YAHOOO and all that jazz! My son came home from being gone for 7 months. He joined the USAF and has been in basic and then tech school. He is home for a brief time before leaving us again for the next 2 years. So we celebrated with a big ol' family dinner. Having a crowd to feed and two unexpected dinner guest I decided to add something to the meal, doing this helps stretch the food. 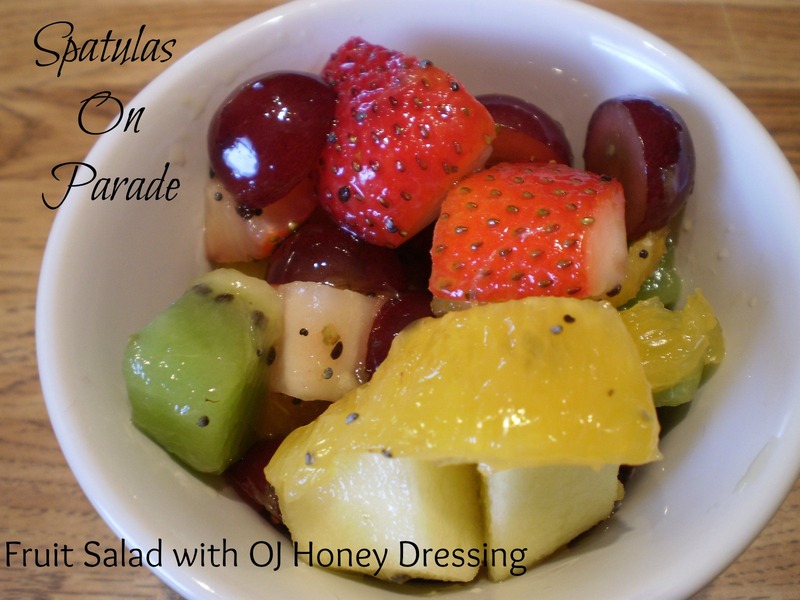 We started the meal with this refreshing fruit salad then moved on to a lovely Angus beef roast with carrots, new potatoes, onions, fresh sauteed green beans, Hawaiian sweet rolls and ended with an eclair cake. Yes, I go all out. Being it is summer and having lots of fresh fruit on hand. I whipped up this refreshing salad. 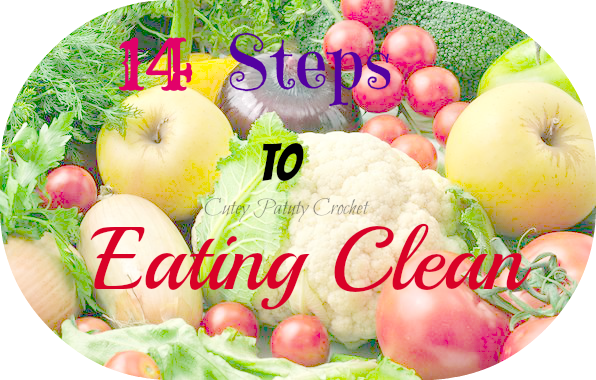 FYI fruit should be eaten before the meal as it digest quicker and aids in digestion. It was a big hit, even with the non-healthy-I want-meat-only eaters. :) If you are reading this you know who you are...AJ. Slice, dice, peel and prepare all your fruit. 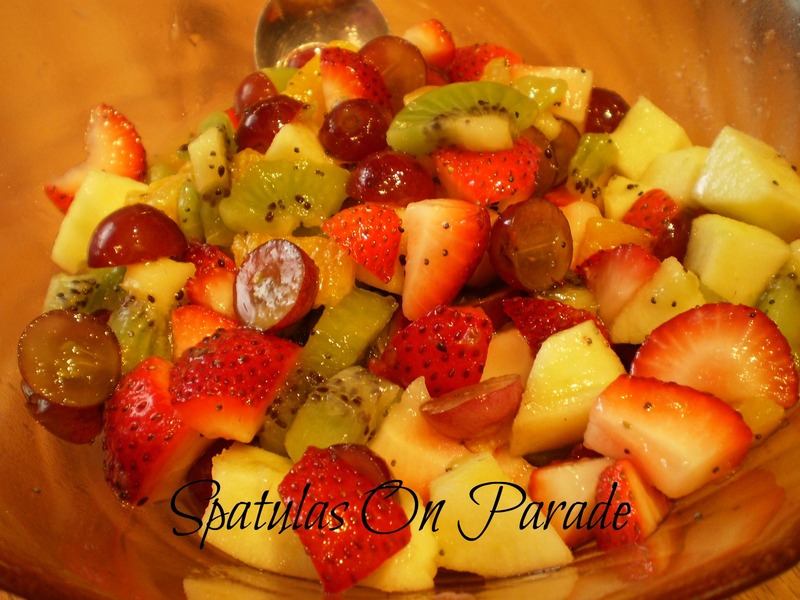 Toss into a bowl with the honey, oj and poppy seeds. Mix well, cover and chill. Due to rules and laws I must first tell you that this is a sponsored post. I am receiving publication, social media perks but no financial compensation. My opinion about the actor and product are solely my own and given truthful without compensation. I am a huge fan and am participating as many other bloggers are to support this project. Who out there besides me is a BIG fan of Shemar Moore? How about the show Criminal Minds? YES I know, almost every woman in America just jumped out of her seat at the mere mention of his name. We swoon, we dream, we...well, you know. Interested in his newest venture? He is working on a new movie : The Bounce Back. Not only is he acting in the film but also producer and raising funds for the production as well. A man of many talents. This project is viewer and fan supported. Interested in learning more about Shemar Moore? Follow this link to see how YOU can be a part of making this film happen. 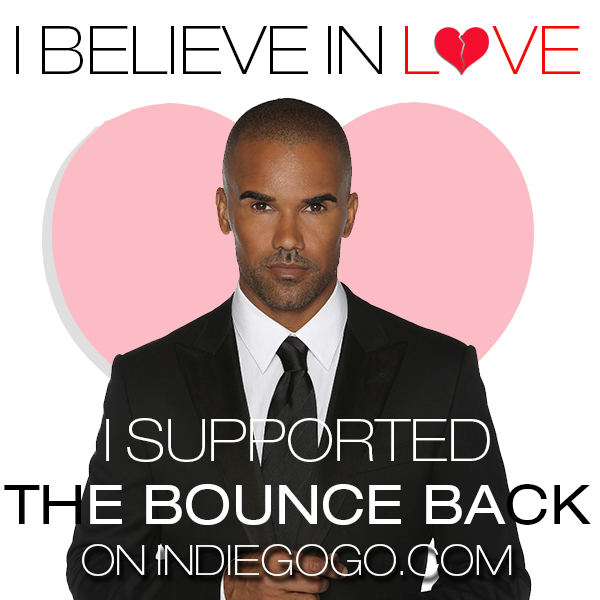 When I read “The Bounce Back” - that very same issue was at the core of the script and the character, Matthew Taylor. I saw a lot of myself in Matthew, although I've never written a book (but I’m thinking about it now, hint, hint). I felt a kindred spirit to what Matthew was going through and my own life. Matthew loses his wife, his first love and after a short recovery creates a best selling book and a system of survival in order to shield himself from the pain. He throws himself into a year long speaking tour. That system of survival; his book and speaking tour, keeps him from falling in love again when he meets the perfect girl, the beautiful and zany Kristin Moreland. Matthew realizes that he has to renounce his book and the world he has created around it in order to take the big unknown plunge of letting himself fall in love again. I love summertime with all the fresh fruits and vegetables that are available. A lot in my own backyard. As you can see our garden has gone crazy this year! Can you see my husband? He's there. At the end of the squash row. The plants are over 3 feet high. He sat down and you can see his hat. ha ha We are over run with squash and zucchini. Ah summer, warm weather, longer days, fresh local produce, festivals, concerts in the park, flowers blooming and everything is lush and green. I love it. I don't love the bugs and humidity! I want to share a recipe with you plus this post is part of: Sharing is Caring...Summer Edition. Super simple. 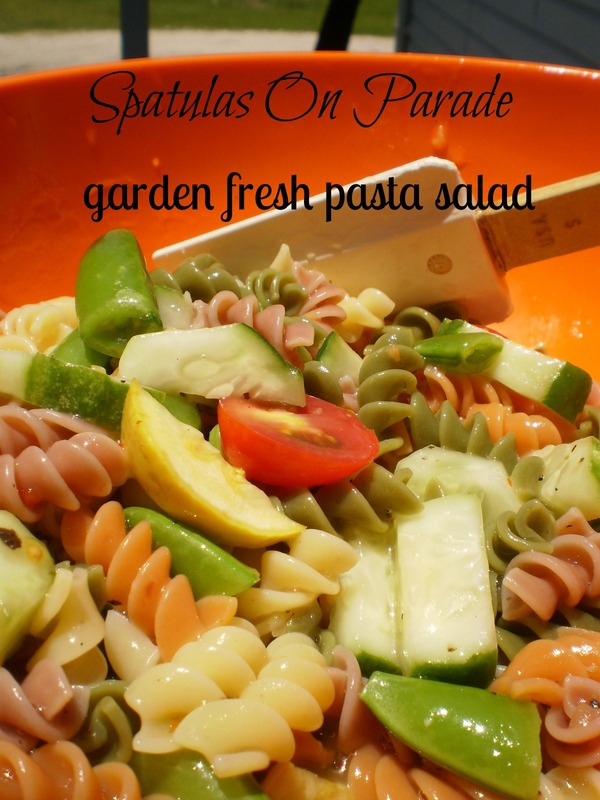 Sliced and dice up all your vegetables and have them in a bowl with the dressing. I used 1 cup of dressing. Cook your pasta, drain well and mix. Serve warm or chilled. Either way it is simple and tasty. Plus it helps me use up all my veggies. This salad would also be great with my Asian Ginger Dressing. This post is part of the Sharing is Caring Summer Blog Hop hosted by Life With Lovebugs , Powerful Mothering, and A Spectacled Owl! 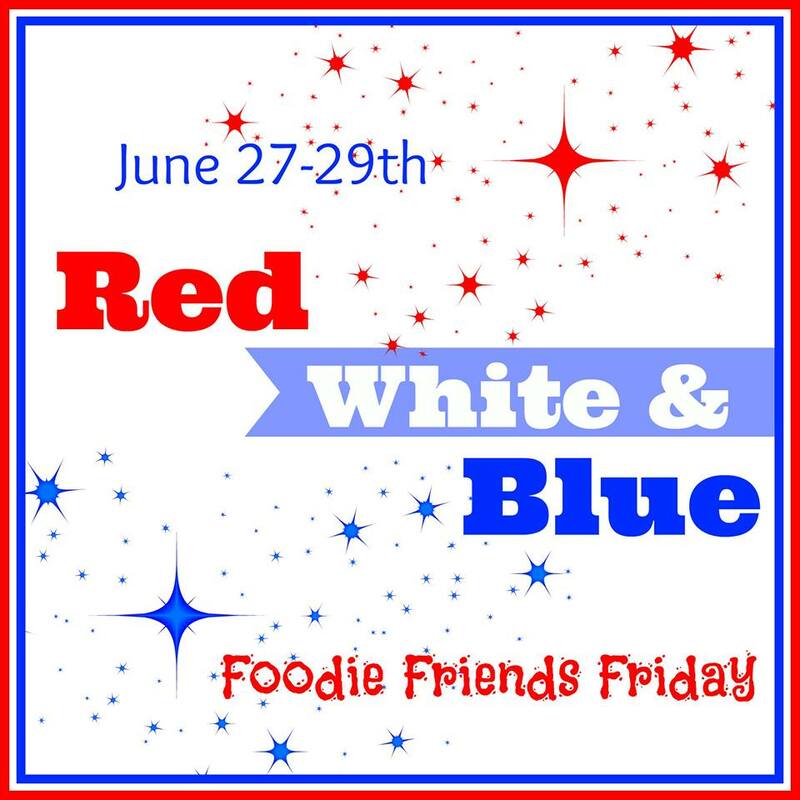 All of the blogs listed below are sharing Summer themed posts as part of this event, so click on one or all of the links below to find some great recipes, tutorials, crafts and more! We have dessert every night and since it was hot last week I wanted a 'cool' dessert. Having used up all my fresh fruit I decided to do something different. 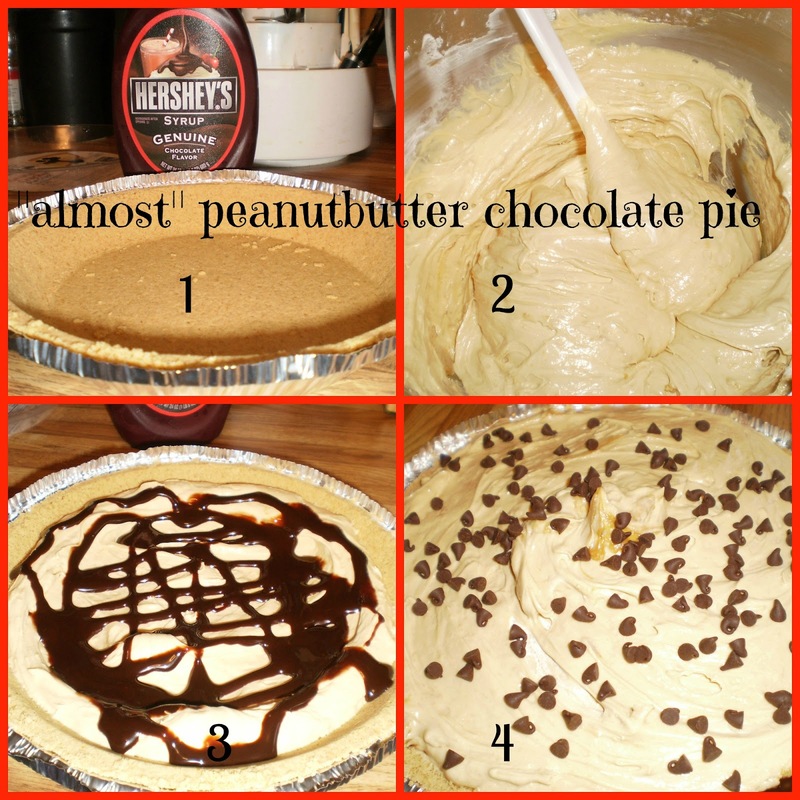 I have seen lots of recipes for 'peanut butter' pies. I can not eat peanuts and was thrilled to find a 'peanut butter' alternative besides Sunbutter, which is pricey, and other nut butters. This is organic and vegan. It is called "WOWbutter" and it is gluten free as well. Taste just like peanut butter. Amazing! Using my Kitchen Aide stand up mixer, I placed the cream cheese in the mixing bowl along with the 2 butters. After it is mixed and creamy, add the powdered sugar and blend well. Last mix in the Cool Whip. It will be similar in consistency of marshmallow creme. 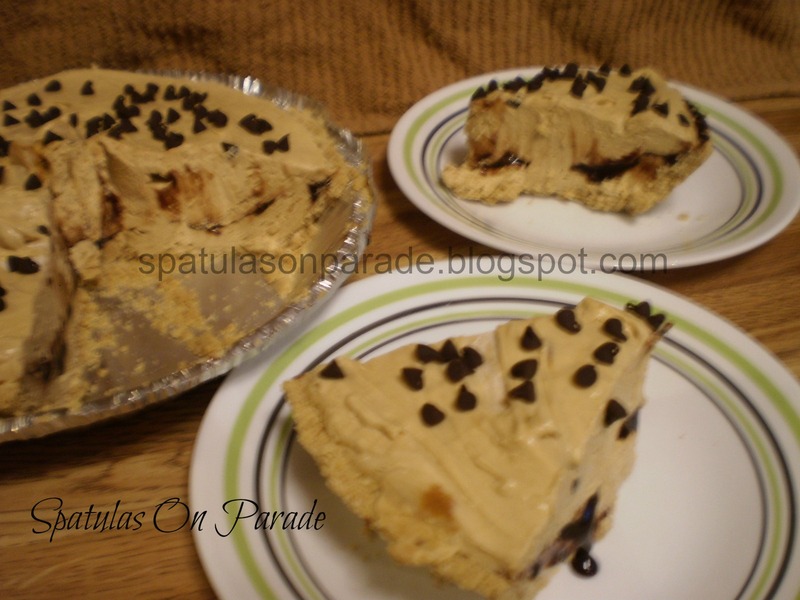 In a graham cracker crust, place 1/2 the mix. Make a well in the middle and pour chocolate syrup. Top with the remaining cream mix. Sprinkle mini dark chocolate chips on top. Chill in the freezer for 30 minutes and then keep in the fridge. You need to chill it for at least 1 hour, longer for it to set better. I wanted to fix a tasty slider. I see them all the time as appetizers in restaurants and on Pinterest. Here is what I came up with. My husband loved them and of course I did too. 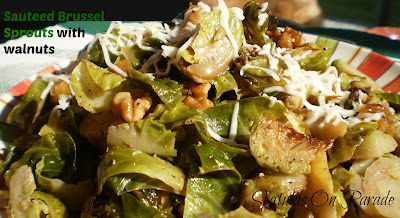 You can eat these for lunch, supper with a nice salad or as an appetizer. Using a nonstick skillet, heat 1/4 inch of oil and fry the chicken. Flip when golden brown on one side and cook thoroughly. You don't want raw chicken. Lay bacon on a baking sheet and bake at 400 degrees for 20 minutes. 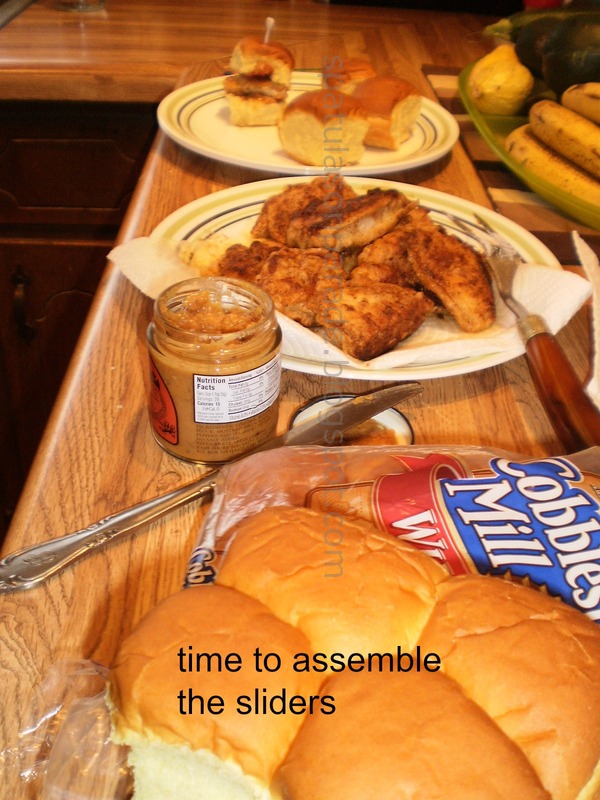 Do this while you cook the chicken. Simmer in a small sauce pot while you cook the chicken and bacon. This is the week for BIG celebrations! Finally some good news and happy moments. This week featured the Surprise Recipe Swap reveal. I was featured on SITS Girls. AND this is my 350th blog post! 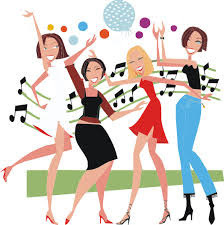 Link up to 3 recipes that 'make you happy'. 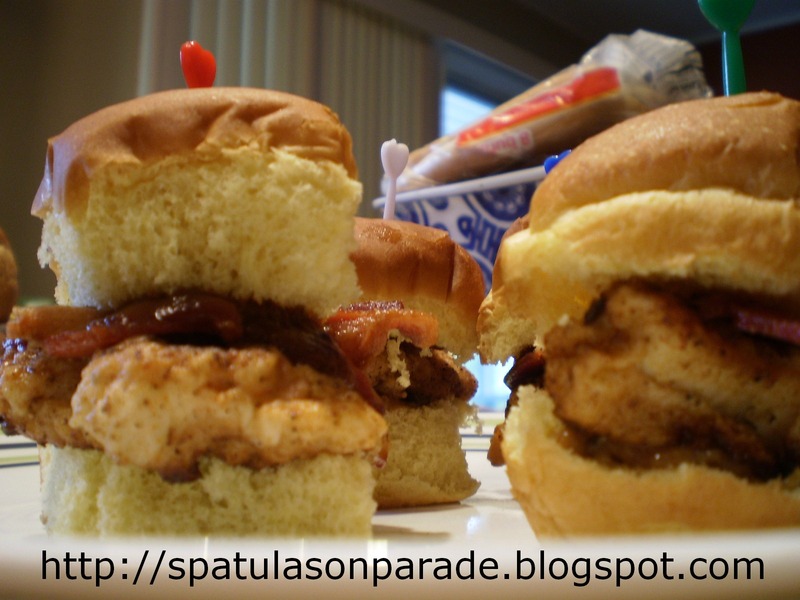 A party food, a comfort food or just something that taste good and satisfies you. I apologize now if they are offensive. He was rough around the edges but mellowed with age. It's raining so hard it sounds like a cow peeing on a flat rock. It's colder than a witches tiddy. How are you? His reply "fat and sassy"
When I was in a bad mood "who peed in your cornflakes"
It's so hot outside the birds are using potholders to pick up worms. That meats tougher n' shoe leather. I'm tireder than a one legged man in an @$$ kicking contest. Daddy, you tired? "Naw just checking the back of my eyelids for holes"
One night at supper, my husband said, "pass me a leg" (we were eating fried chicken) and before I could pass the bowl, our oldest son (6 months at the time) pulled his leg out from under the high chair tray and held it up in the air. We cracked up! Driving home from our anniversary supper about 11 years ago, our youngest says from the back seat "I just jumped off the edge of fullness"
When the boys were little one asked me "what's normal?" My response was the same then that it is now : Normal is just a setting on the dryer. 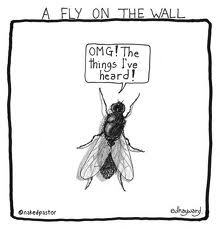 Everyone is a little whacked. Driving down the road last week, from the backseat, my grand daughter says "I'm gonna have a brother baby and I'm gonna hold him and rock him and say awww you so koot" I said, a baby brother, she says NO A brother baby! Now how about a recipe? Prepare your chicken, fried, grilled, sauteed however. 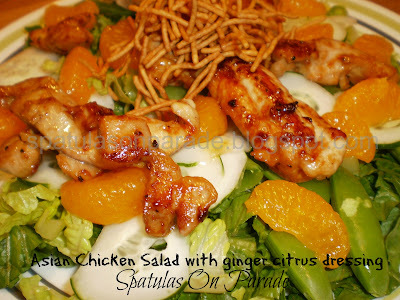 Slice and serve over a bed of romaine lettuce with thinly sliced cucumbers, crunchy rice noodles, orange slices/segments and a dressing. you can use store bought or make your own. I cooked my chicken, cut into strips, in a little oil with white cooking wine with lemon, 2 TBSP of soy sauce and fresh cracked black pepper. I allowed this to cook until the chicken was done and caramelized. 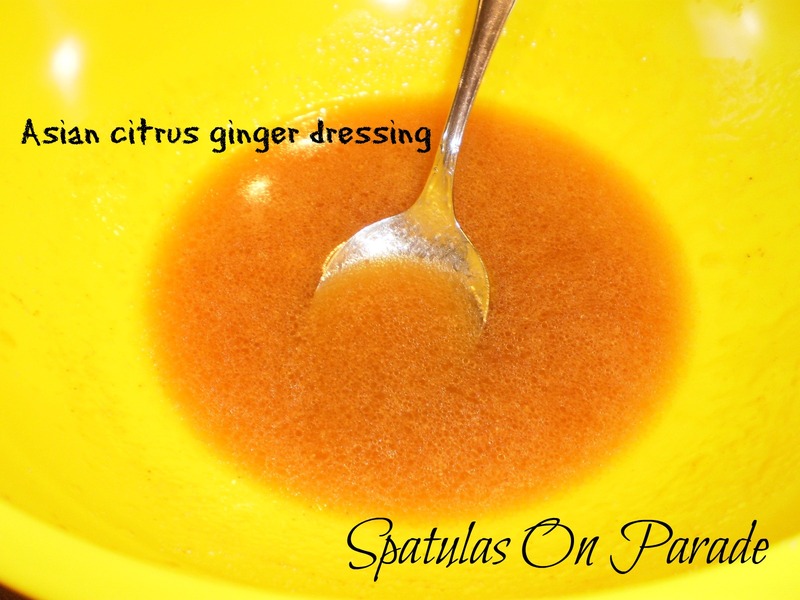 Whisk together and store in the fridge for up to a week in an air tight container. Happy SITS Day to me!!! Hi and welcome, I have been waiting several months for this day to come. If you are from the SITS Girls, welcome. New here? 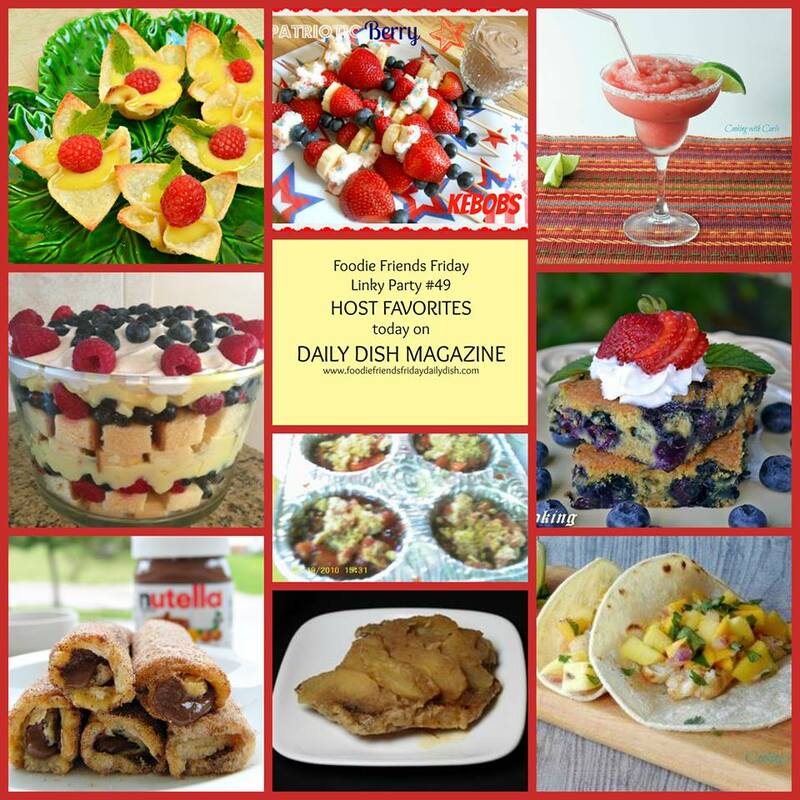 I hope you'll stay a while and browse through my recipes, parties, and guest post. For my regular readers wondering what a SITS day is...well SITS Girls is a social network helping female bloggers connect with each other, brands and opportunities at making money with our blogs. Over 40,000 members strong and growing. If you are a blogger, be sure to stop by and link up. You can ask questions, join discussion groups, review products and make great friends. On the right are links where you can follow me on all the different social media. One thing that so many people say to me is "I love your blog name" or "your blog name made me laugh" but it caught their attention and made them stop long enough to look around and hopefully come back over and over. I started my blog a year ago to fulfill many things. 1 to fill my time, as a mother who had homeschooled - all my time was absorbed with their education and activities. All of a sudden they graduated, went to college and moved out, all at once. 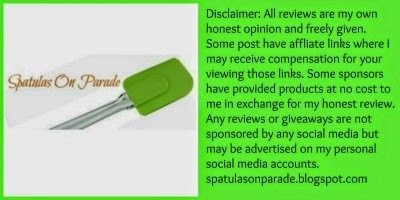 2 share my recipes with friends and family who had been bugging me to blog, write a cook book or something. 3 find my niche in life as an empty nest mom. 4 a creative outlet where I could showcase my cooking, baking and photography. 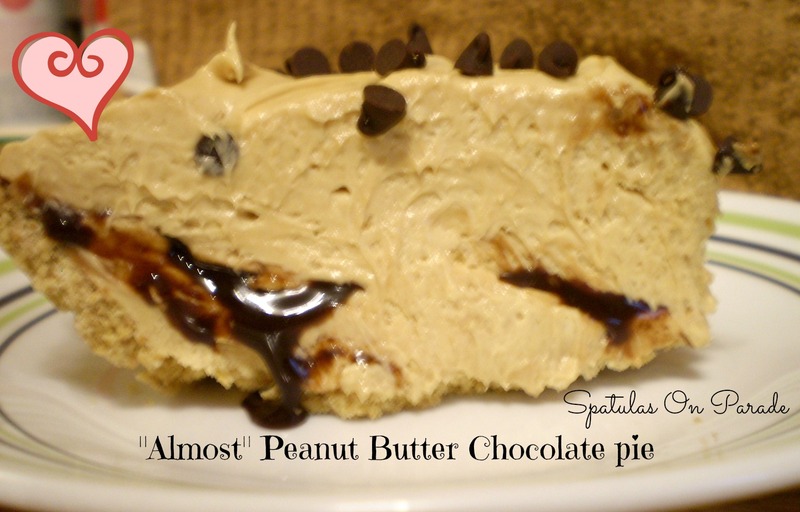 In honor of my SITS Day, I created this lovely, light and delicious dessert. In a mixing bowl, place cream cheese, pudding mix, milk, oj and mix for several minutes on high until smooth. Fold in 1/2 container of cool whip. 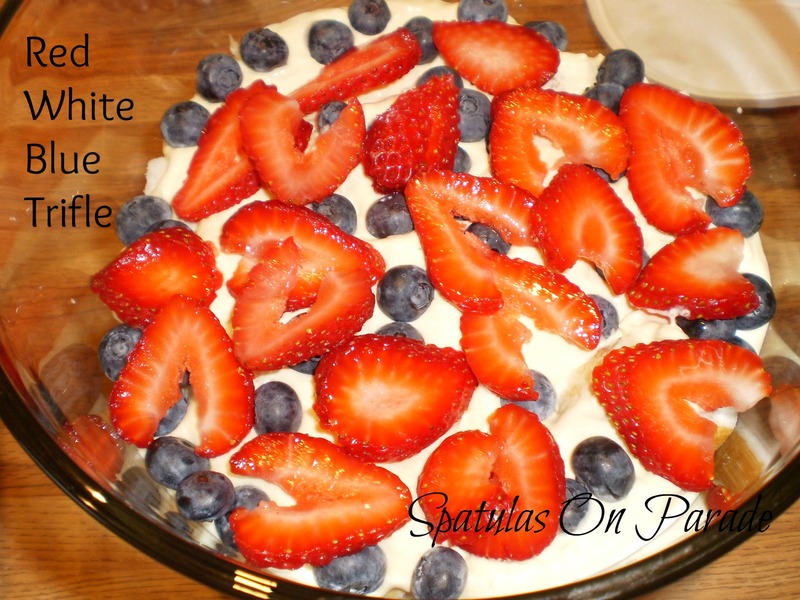 Hull and slice strawberries, wash blueberries and cut cake into cubes while the cream cheese and pudding are mixing. 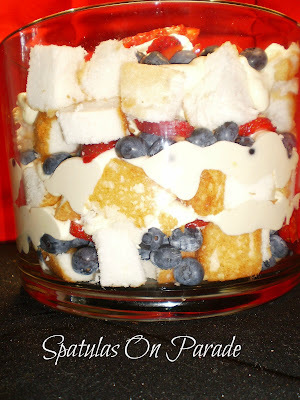 Layer in a trifle bowl. Cake, blue berries, strawberries, cream mix and repeat. 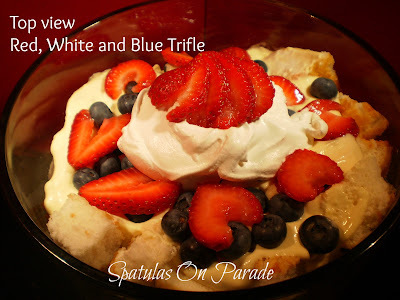 top with berries and cool whip. This month and this year have gone by so fast, add to that all the events that have happened and I loose track of time. This months SRS snuck up on me. I was out of town for 2 weeks and almost missed making my recipe for the reveal. No worries, I managed to sneak it in. Not sure what I'm talking about? The SRS is the brain child of Jutta over at Hungry Little Girl and you can find all the information to join in HERE. I was given Cheese Curd In Paradise this month. The name made me laugh and peaked my interest. Of course then I had Jimmy Buffet in my head. It was hard finding just the right recipe. I tend to head straight for the desserts but opted for a savory side dish this time. I wanted to change it up. Since I love brussel sprouts, when I ran across this recipe, I knew it was the one. In a medium skillet heat oil. 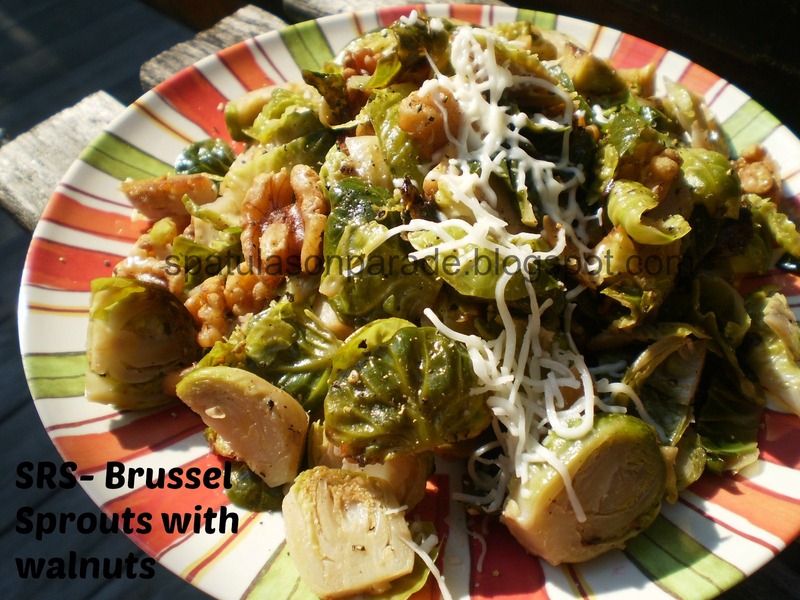 Add Brussel sprouts and stir to evenly coat them in oil. Allow to cook for about 3 minutes. Add chicken broth, salt, and pepper. Stir well. Cook for about 2 minutes. Add walnuts and stir well. Cook for an additional 3 minutes or until liquid is absorbed- stirring frequently. Remove from skillet to serving dish and top with cheese.